At the end of a busy week it was quite a treat to come home to a box of meat on the doorstep! 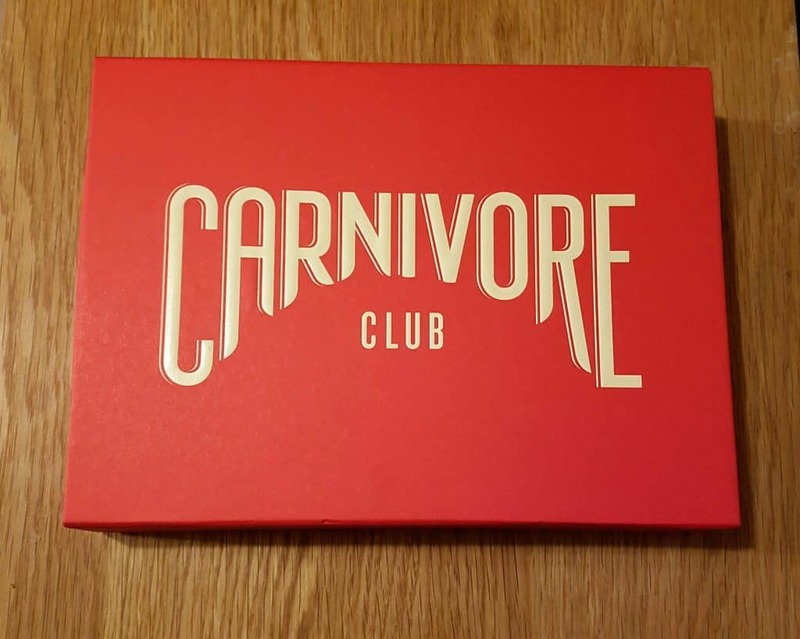 We had been looking forward to the Carnivore Club box arriving as the idea behind it both appealed to us and intrigued us! …And we weren’t disappointed. The box itself was lovely, really nice quality and once we’d finished everything it was actually a shame to throw it away (yes we could have probably found a use for it but we’re trying to be a bit more zen and minimalist at the moment!) What was really nice was the description from the makers about their products and a little bit about them too. It introduced us to new suppliers and we looked them up online afterwards. Overall we were really impressed by the quality of the products in the box. These were great, they were the first thing we opened and they had just the right amount of kick. I am normally not a fan of blue cheese at all but in these it really helped round off the flavour of the salami. You could really taste all the individual ingredients and let’s just say that it was a shame there were only a few in the pack as we could have quite happily polished off many more! 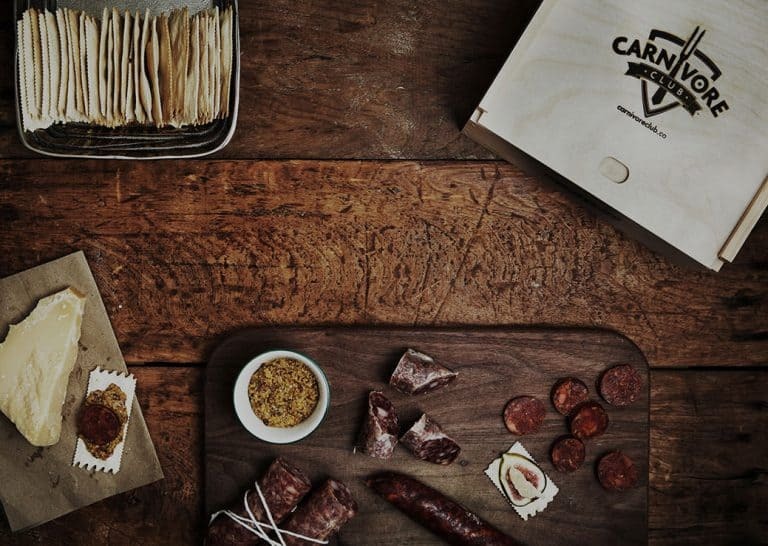 They were a great introduction to the box and we were excited to try the rest. We had the Copa a few days later. Copa is pork shoulder cured with juniper, salt & something I had never heard of before, telicherry pepper. It is described as being rich & creamy and that was definitely true. We actually just had this on its own one evening, and it was just melt in the mouth perfect. I’d never had Copa before but I definitely want to try more again now. We split the chorizo; some of it we cooked into a big stew and the rest we ate raw (Whilst the stew was cooking!) 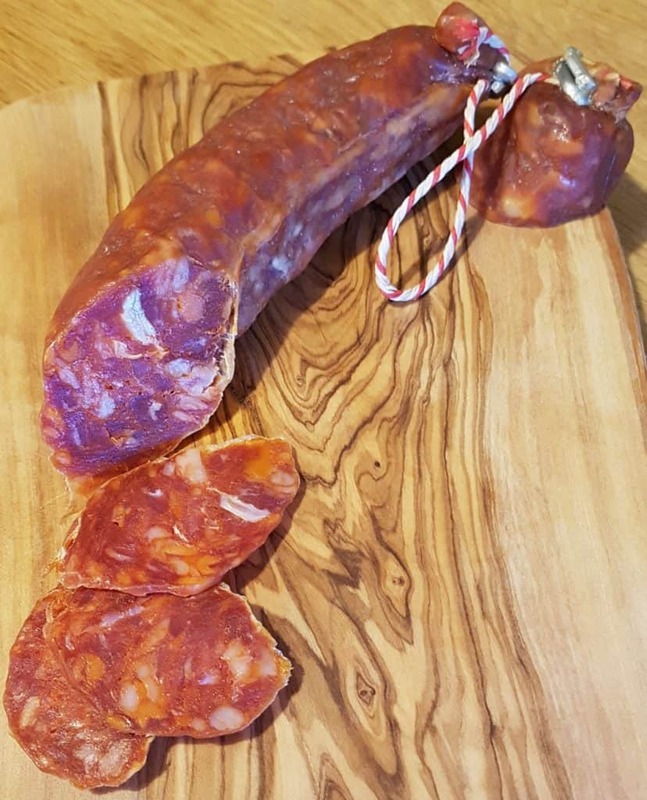 Both cooked and raw, the chorizo was lovely. 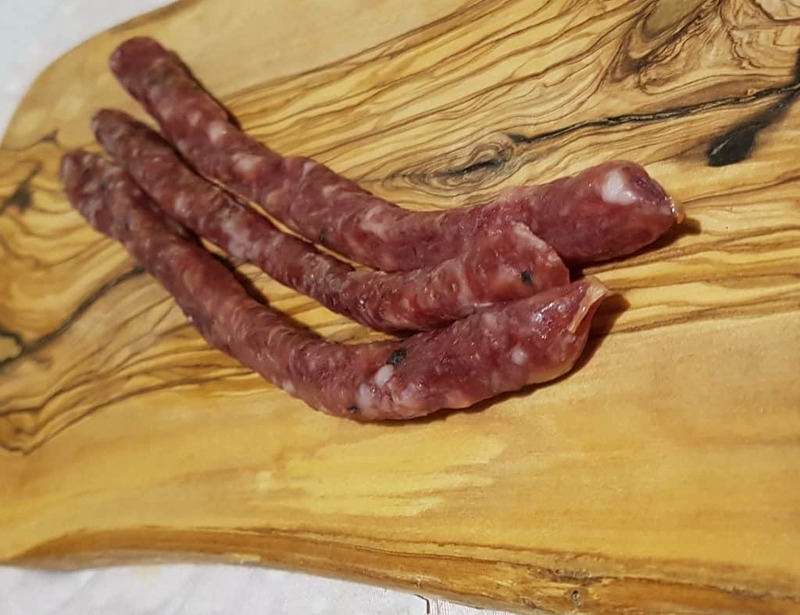 You could taste the cider element and it was one of the nicest chorizos I have had. I think this was possibly my favourite – you could taste all the components and it was incredibly moreish. Even our three year old son was happily helping himself! I would quite happily have enjoyed an entire box of this and am definitely looking into ordering some more just for myself. 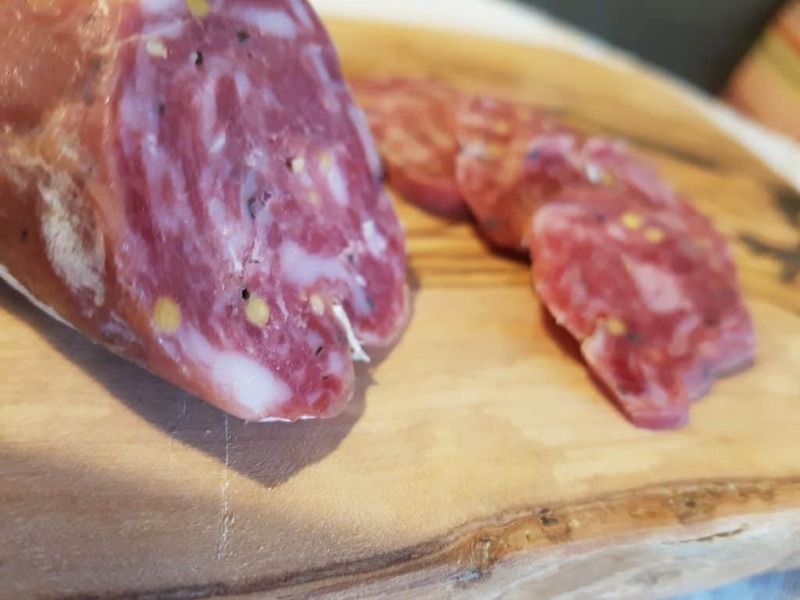 The sage and mustard just made the whole salami ‘sing’. As you can see, this looked stunning. 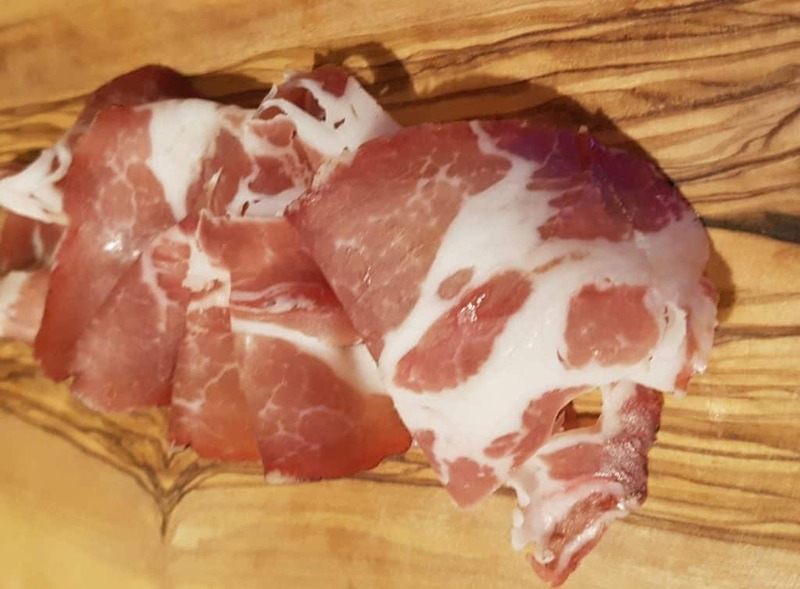 Along with the Copa it had been sealed in airtight packaging, which in the case of the bresaola was a tiny bit of an issue because it had all become one giant piece of bresaola once the air was taken out so I had to do a fair amount of ‘deconstruction’ before we enjoyed this. It was a rick deep red and you could really taste the cinnamon and cloves; it would be an incredible meat to have around Christmas. It was also the one ingredient that highlighted the only downside to the Carnivore Club box. 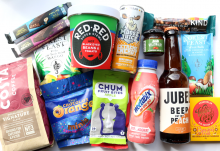 Whilst there was a lot of information about the products, the one thing we felt that was missing was something about combinations and matches; the types of drinks or foods that would match perfectly with the contents. 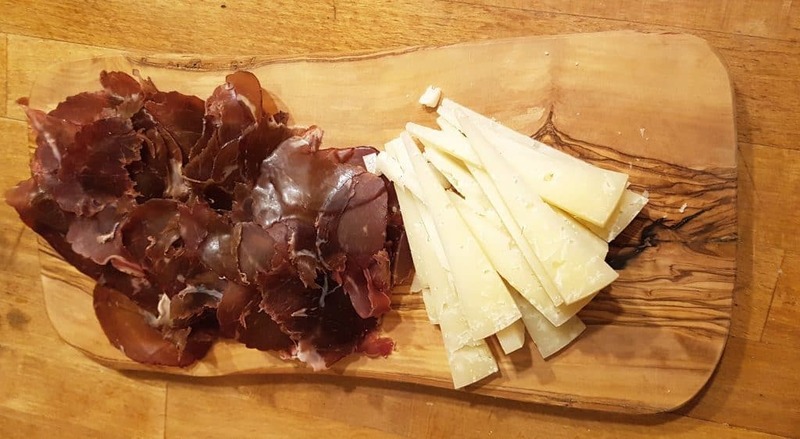 We really wanted to enjoy this bresaola by pairing it with something so I spoke to a local cheesemonger who advised having it with a pecorino cheese. Individually both were really nice but I am not sure they worked together which brought down the bresaola a bit in my opinion. 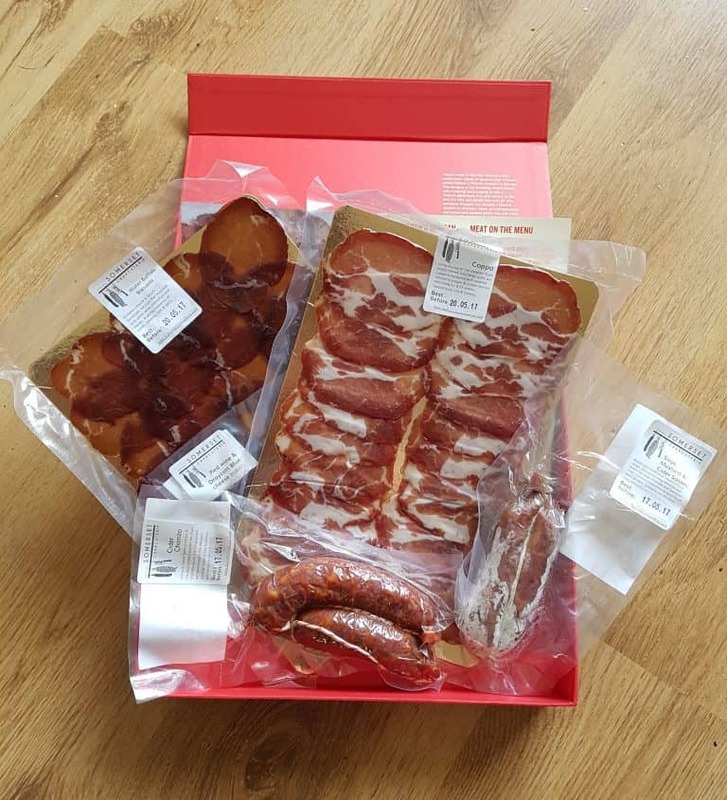 I would have really valued advice from the producers of such incredible meats as to what to have them with to make them taste even better, and that was what was missing. I think that this simple addition could make a huge difference. Knowing what would work well with each would have been fantastic and enabled us to really make the most of the contents. 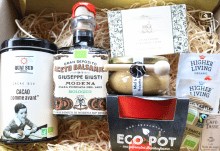 We really enjoyed this box, so much so that we did our own research on the producers to find out more - which lead us to see that they do their own boxes that are slightly cheaper than this one. Which is why we couldn't give the Carnivore Club a 9 or 10 out of 10. 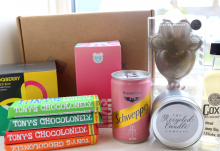 The products were lovely and the packaging was stunning - but there is no denying that it is an expensive box to receive every month, so we wanted to make the most of the ingredients. We've only tried one box so it might be that usually food/drink match suggestions are included, but this one didn't have that and that's why we've also had to 'deduct points' as it were. I definitely think that adding in some basic information about what would match well with the ingredients would make them even better and would increase the score for us. How would you rate Carnivore Club ? Mummy, wife, baker, PR and jewellery maker. I'm a fan of anything cheesy, retro, geeky, kitsch and crafty.